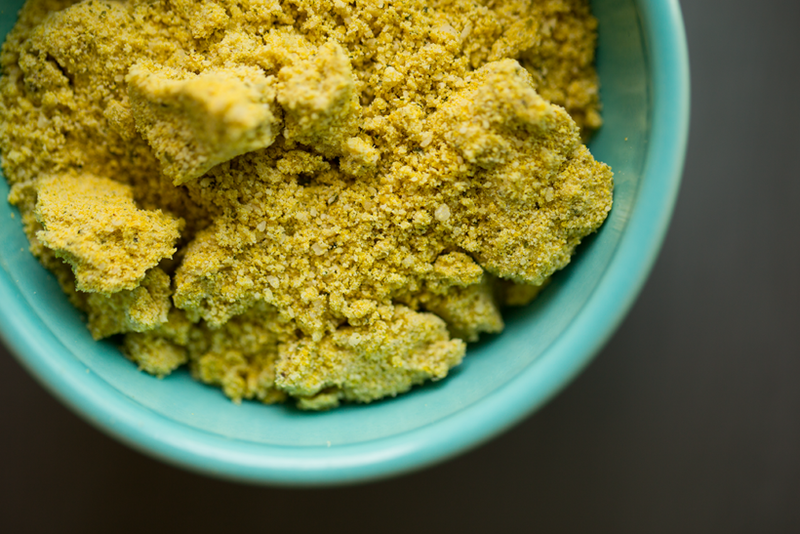 Recipes for Vegan Parmesan Sprinkle are so incredibly simple. But very worth taking a look at here on the blog. Mostly because there are a few ways you can make vegan Parm! 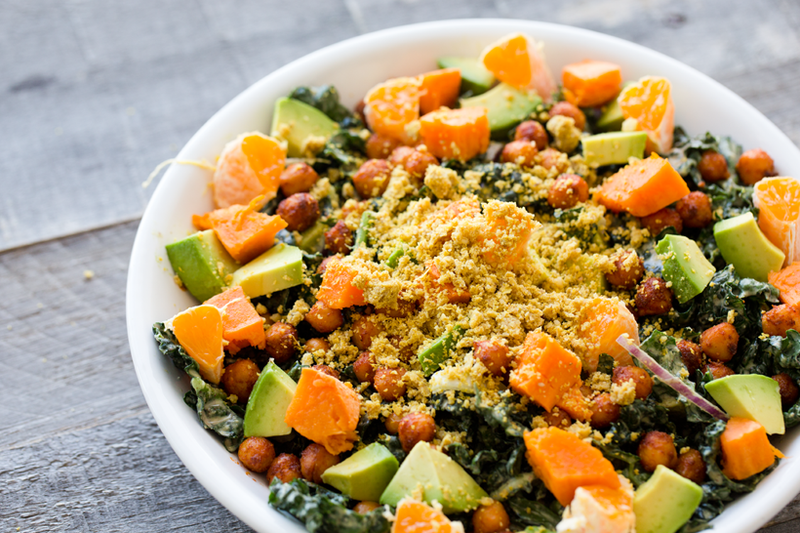 I am excited to share with you a few recipes, plus my very favorite version. 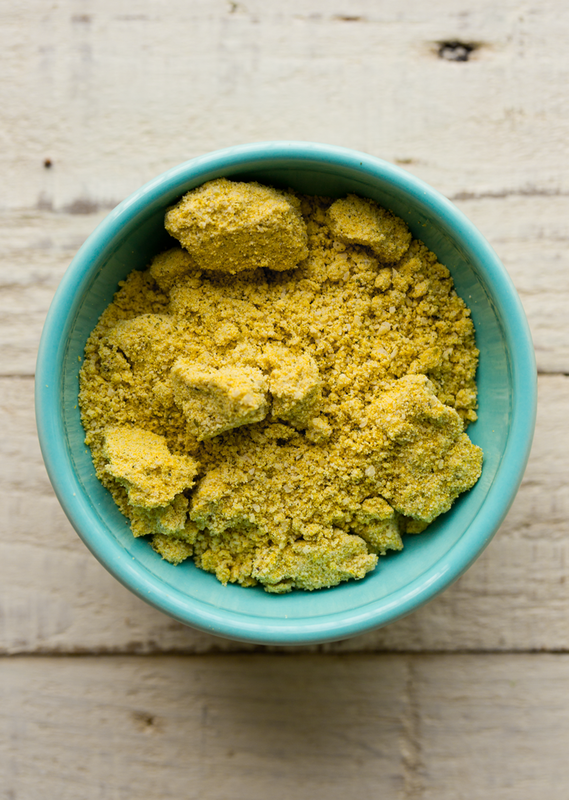 My Vegan Parmesan Sprinkle recipes ahead!.. ..This vegan Parm is rich in protein, fiber and vitamins. 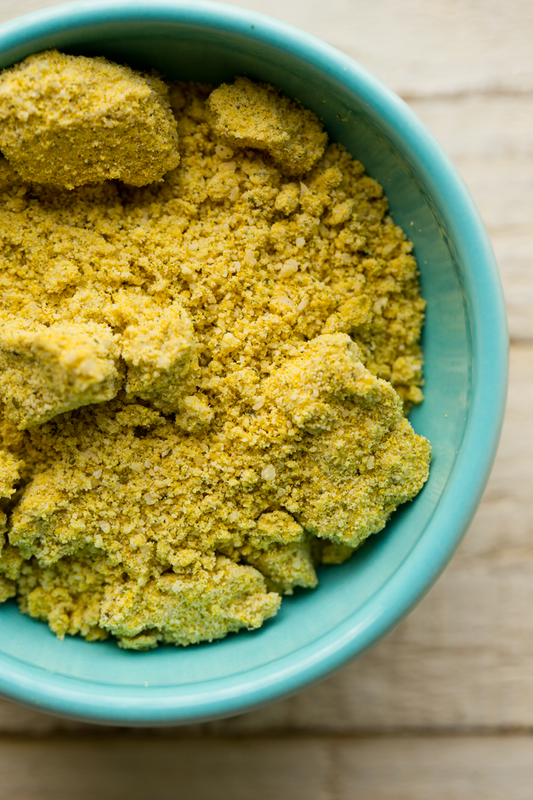 Vegan Parmesan Sprinkle is dairy-free, cheese-free too! Nothing in there but flavor and nutrients from plant-based whole foods. 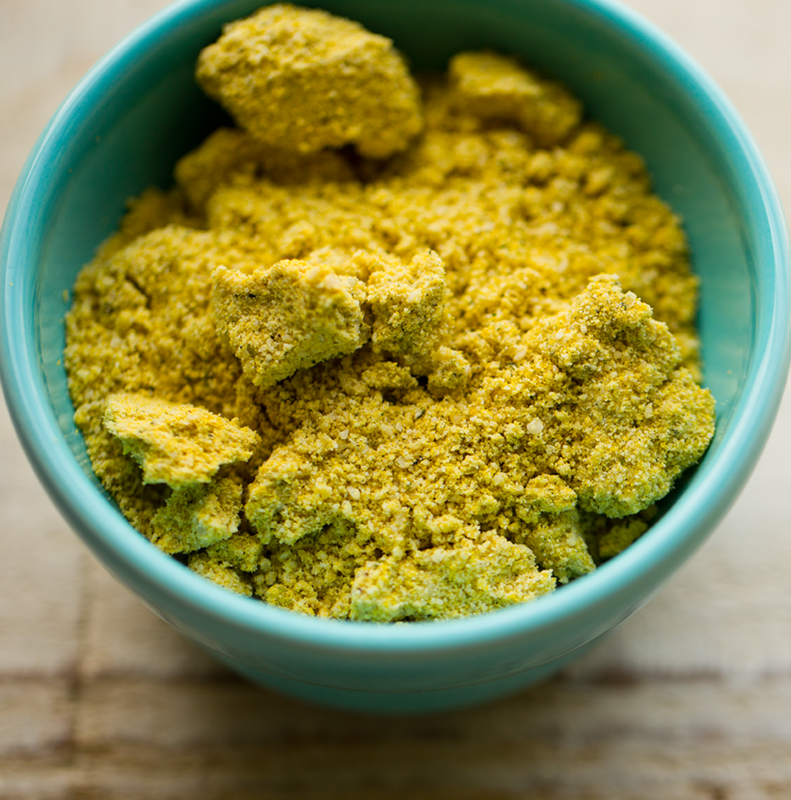 Step One: Nutritional Yeast - all of my vegan Parm recipes include nooch. Step Two: Nut or Seed - this is where your preferences come into play. My go-to nooch is Kal. Those big tubs. You can buy on Amazon or find in natural foods stores. I also love Bob's nooch, also on Amazon. Read more about nooch in this post I did early on in my blogging journey. And I am sure there are a few other you could use too. Vegan Parm Recipe Ratio. I use a ratio of about 1:2. One part nooch, two parts nuts or seeds. So if I use 1/4 cup nooch, I will use 1/2 cup of nuts or seeds. Gve or take a little. I feel like that gives a good earthy texture from the oily nuts or seeds, plus adds a hefty boost of cheese flavor from the nooch. But even that ratio is not set in stone. You can play around to see how bold you like your Parm. Usually, the more nooch, the bolder the flavor. What about salt or spices? I always just add two ingredients. But if you want to play around with adding salt or spices, go for it. 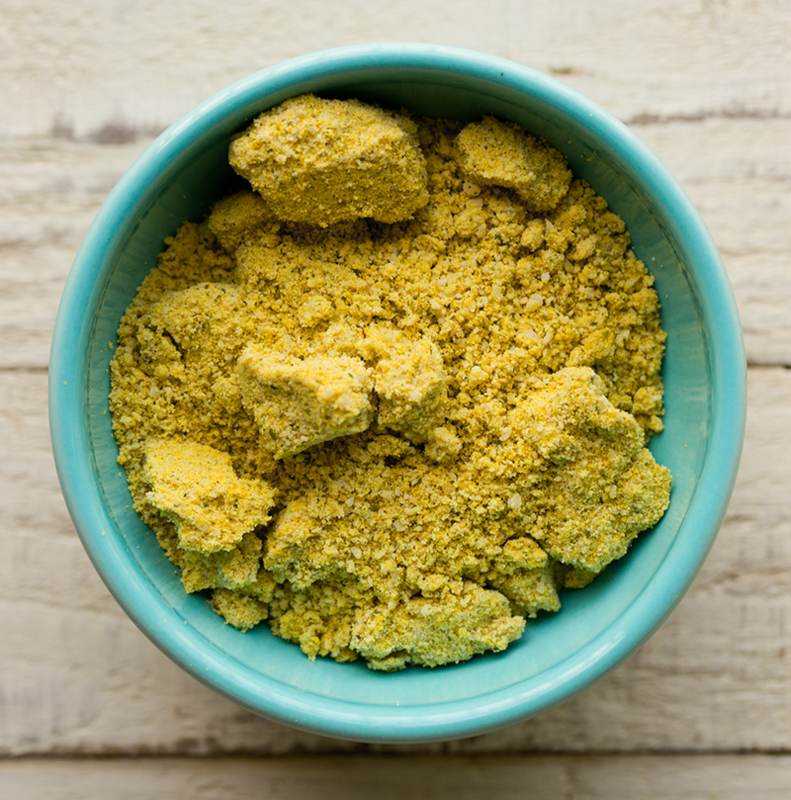 What can I use Vegan Parmesan on? Salads are an awesome place to sprinkle this stuff.. Lately, my fave combo is..... HEMP + NOOCH. I love the nutrition of hemp seeds, and this is such an excellent way to add them to my diet. My second fave combo is nooch + walnuts. This cheezy, nutty sprinkle can be added to pizza, pasta, salads and more. Place ingredients in a high speed blender or food processor. Blend from low to high until crumbly and powdery. Do not over process to turn into nut/seed butter. Total processing time should be just 10-20 seconds max on a basic powerful blender. Prep Time: 00 hrs. 02 mins.